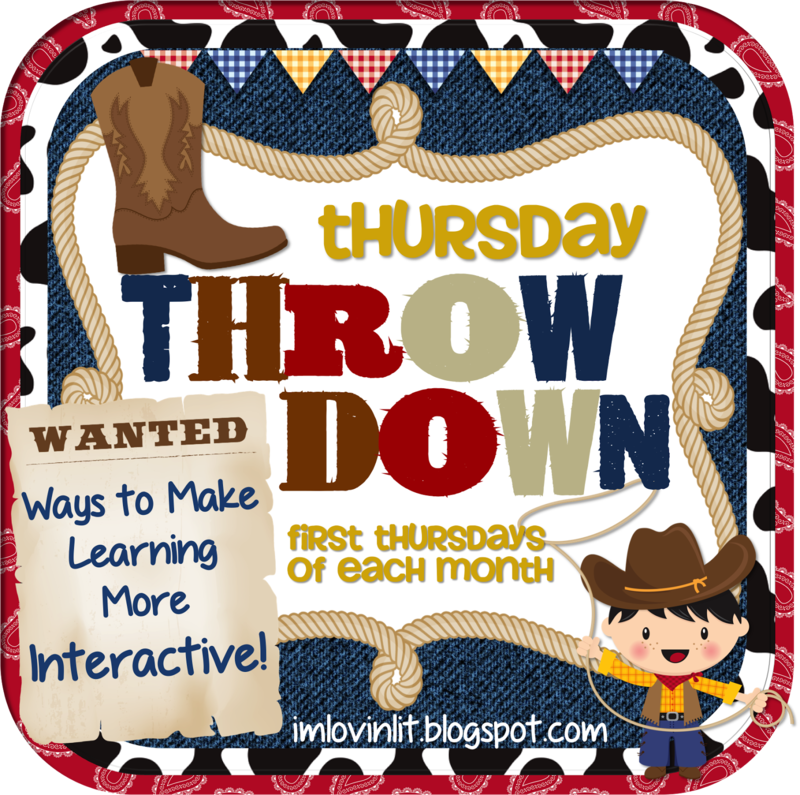 I’m joining my blogging friend Erin from I’m Lovin’ Lit for her Thursday Throw Down Linky. I know I'm cheating just a little. I don't have notebooks in my class, so I can't really enjoy all the interactive notebook goodies, but it is as interactive as I can get in the lab! I’ve been waiting since October to start a cardboard arcade inspired by Caine’s Arcade. This pile of cardboard has been taunting my students for a month or so. That big box in the back has a sign on it. It reads, “Not trash. Not a TV. Just a Box.” They have been begging to get started. I have 18 classes. I needed to find a way to have each class vote on a photo booth prop and a game. I handed out little slips of paper for the first class, but it took WAY too long. During my planning period I created the shell of a Google Form. When my fifth graders came, we filled in their ideas for the photo booth and the same. I sent the finished form to the student computers. Each student completed the form and then rushed back to the carpet to view the results on the SMART board. I refreshed the results to the sounds of cheers from the winning group. If I had longer than a 50 minute class period I would have used this information for a teachable moment about data. Instead I printed out the information for teachers who wanted it. I’ve been using Google forms a lot lately. It is so quick and easy to gather and use the data. Now we are working on our projects. This is a treasure chest in progress. In the background are a robot and a claw machine. This one is ready for paint and decorations. My classroom is over run with cardboard projects and smells like paint, but we are having a blast! I hope that you will join me Saturday for my first ever Linky Party. I’m married to an Irishman, so St. Patrick’s Day is a big deal in my house - and my classroom! I have a few St. Patrick’s Day art projects I plan to share. You can link up any post, new or old, with a St. Patrick’s Day theme. To make sure I don’t end up “Jenny no mates” as my Irishman would say, I’ll e-mail my Sully Shamrock font to anyone who links up. I’ll leave the link up through St. Patrick’s Day, so be sure to link up your favorite activity! Hope to see you then! I can't WAIT to see the finished products from your Caine's Arcades projects. Loving the sneak peek!